Some people would prefer cars or airplanes, but not us. There’s something adventurous connected to trains. They have this old-fashioned charm like the Hogwarts Express, an iconic train from the Harry Potter movies. In real life, trains offer a lot more advantages than other vehicles, and we are here to tell you what those are. Not only can you carry as much baggage as you want without being charged a fee, but you can also enjoy the comfort and the length of the seats. You can stretch your feet up, curl up and get very cozy. Furthermore, trains offer a restaurant-like quality on wheels, where you can enjoy a good meal and drink while chatting with your fellow passengers. You can even bring your own food and drinks! Trains can save you a lot of money when traveling from one country to another. It will surely take more time, but if you travel alone you can spend that time enjoying the peace and quiet, or perhaps read a book while glancing at the scenery outside. Train rides bring you closer to nature and expose you to the hidden gems of the world. 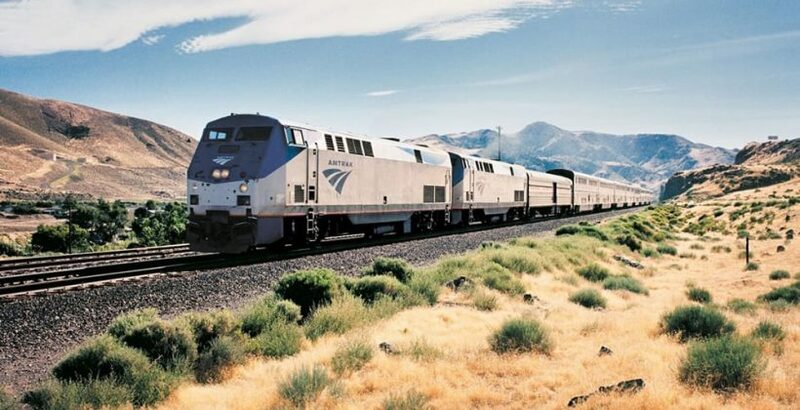 You don’t have to worry about someone disturbing your relaxation because traveling on rails comes usually with fewer security procedures and announcements. Instead of wasting time going through airplane security, where you have to take off even your shoes, you can just hop on a train without doing any of that. You can visit the heart of each town because usually train stations are located in the city centers. When you arrive at your desired destination, you’re just in the right spot where you need to be to start and explore the city. You don’t have to spend money or waste time on cab rides to the centre like people usually do when they travel by plane and arrive at the airport. If you’re addicted to gadgets, you don’t have to worry. More and more trains are installing Wi-Fi so you can surf the internet and post pictures of your journey or get some work done. Furthermore, you can charge your camera or phone batteries or even watch a movie. Another advantage of trains is that passengers can face each other while sitting down. They can get to know each other and converse while enjoying the train ride. And who knows, you might find yourself a close friend or a romantic partner in the future.